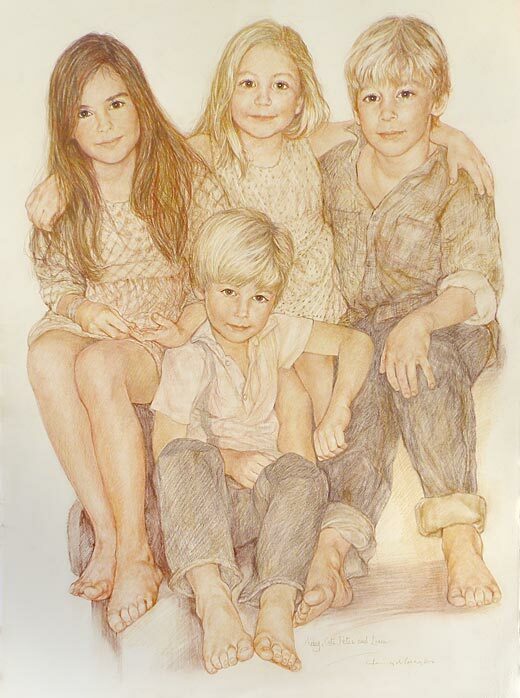 Honey's distinctive portraits of children in earth colours using conté pencils and pastels for detail are currently her largest volume of commissions. Other portrait works include adults and animals. 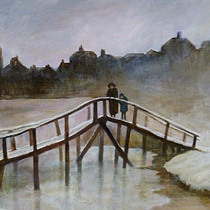 Landscapes are primarily oil on canvas from life. 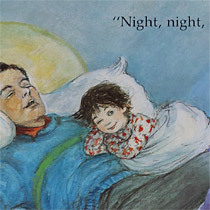 Honey's more commercial activities have included many illustrated books using watercolour and pen and ink. 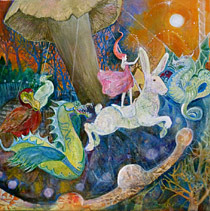 Her children's fairy tale fantasy illustrations are well known.